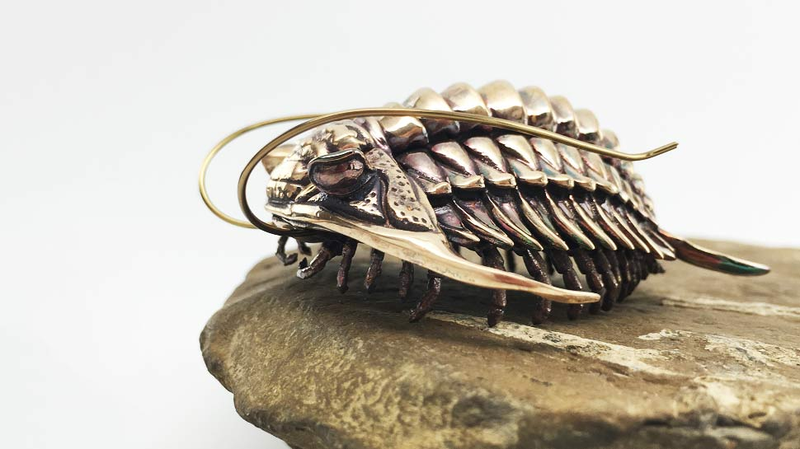 Trilobites are everywhere: you’ve probably seen them in museums, or if you’re lucky, in the rocks near where you live. While we’re used to seeing the fossils, one scientist has turned to 3D printing to get a sense of what these creatures were like in life. Dr. Allan Drummond is a professor of biochemistry at the University of Chicago, and decided that he wanted to try his hand at printing up a trilobite. So I looked at as many ceraurids as I could find, and made 2D drawings, first in pencil, then in Inkscape, to provide guides for the 3D modeling. The initial goal was not to model a specific species, but to capture the organism in a recognizable way. The eyes are larger and more stalked in the drawings, and present model, than in Ceraurus, among a huge number of features that are just wrong. At the same time, any knowledgeable person can identify the genus immediately. Over time, I’ve been pushing the model closer and closer to identifiable species, influenced in large part by the folks on FF who can identify species instantly from details of an isolated hypostome. No pressure! The resulting sculptures are absolutely stunning. Not going to lie: I really want one of these.